In this hodgepodge of an episode, Sean and Roy each chose a random film that the rest of us had not seen. 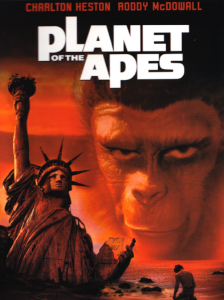 You read that correctly, many of us were watching the original Planet of the Apes for the first time. Oddly, both of these film have been remade or are remakes several times over. Not so oddly, only one of them really stands the test of time. I think you can probably guess which one.